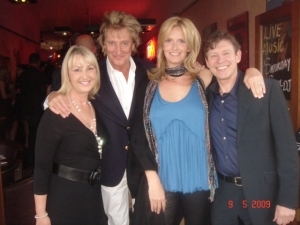 Rod and Penny Stewart will support the Lowe Syndrome Trust by presenting a GBP £200,000 cheque to Imperial College, London, on Wednesday, June 20, 2012. Further grant awards are also announced. Rod Stewart and wife Penny Lancaster Stewart will support Lowe Syndrome Trust on Wednesday June 20 by presenting GBP 200,000 cheque to Imperial College, London. Further grant awards also announced. 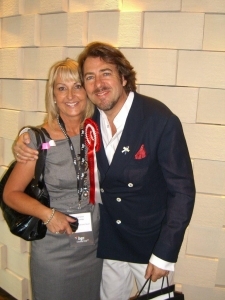 British celebrities Jonathan Ross, Penny Lancaster Stewart, Tony Hadley and many more become city brokers for the day to raise tens of thousands for the Lowe Syndrome Trust. Might Fish Provide Lowe-down on Boyhood Disease? The Lowe Syndrome Trust is a small, voluntary charity; the only one in the UK for the disease. Sponsors include Jonathan Ross, who is a Trustee, together with Tony Hadley, Penny Lancaster Stewart, Tom Conti, Richard Desmond, Jono Coleman, Mathieu Flamini and Melanie Blatt who are all Patrons.